April's Little Family: Happy Seven Month Birthday Jonathan! Happy Seven Month Birthday Jonathan! This post is dedicated solely to you! 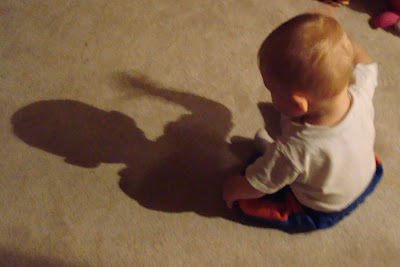 Today you discovered your shadow! That is so cute!! How awesome that you captured it! OMG, what a great pic! @ christy: it was pure luck!